This is an area where White Dalton has very special expertise. It is a relatively complex area of law where we take on very many cases that have been rejected by other solicitors. Most of these cases take around three years and some can go on longer. We use very special tactics in these circumstances and our strike rate of winning these cases is high. Councils spend more on compensation claims arising from damage caused by potholes each year than they spend on repairing the potholes (Asphalt Industry Alliance 2008). To bring a claim against a highway authority you need to be able to prove that the highway surface was so defective that it presented a real danger to traffic that might use the road. 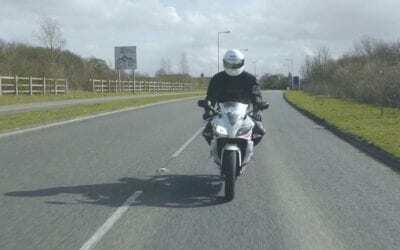 Highways inspectors inspect the roads fairly regularly, but very often they have no experience of or thought for motorcyclists. Most highway authorities argue that as long as they have inspected the road they have a complete defence even if the road surface was defective. Only specialist knowledge can give you a realistic case against this. We also specialise in “fatting up” cases, where roads are not properly maintained and stone chippings are given up by the road surface. The loose chippings that accumulate on the surface are a hazard to motorcyclists. If you so much as touch your brakes, or deviate from your course you stand a very real risk of the bike sliding away underneath you. If you have come off on gravel chippings from the road then we will need to get evidence quickly and efficiently on this. If you have an accident like this then please contact us immediately.